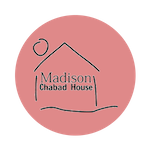 Chabad of Madison is dedicated to serving the Jewish community throughout Madison, Dane County, and all of South-Central Wisconsin, with Ahavat Yisrael – an unconditional love and concern for every Jew, regardless of background and affliation. It encourages every positive action on the part of every Jew and facilitates the efforts of every organization, synagogue or group to increase Jewish study and observance. Chabad of Madison is directed by Rabbi Yona and Faygie Matusof. Chabad at University of Wisconsin is directed by Rabbi Mendel and Henya Matusof. Young Jewish Professionals of Madison is directed by Rabbi Avremel and Mushkie Matusof. Chabad is inspired by the vision of the Lubavitcher Rebbe and guided through his teachings. We are one of 4,000 Chabad-Lubavitch institutions worldwide - and is an affiliate of Lubavitch of Wisconsin.